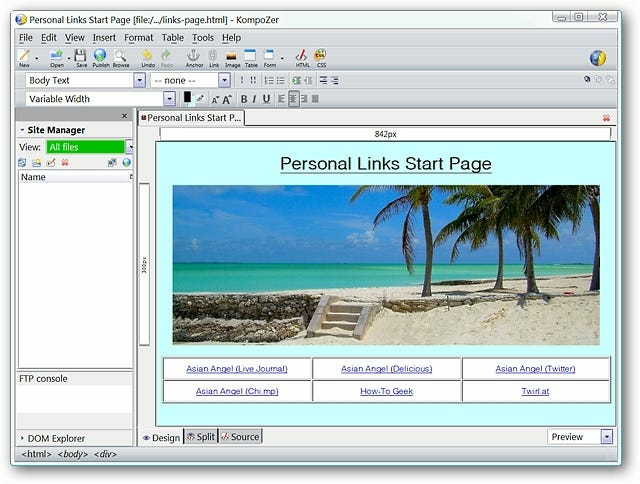 Are you looking for a way to easily start creating your own webpages? 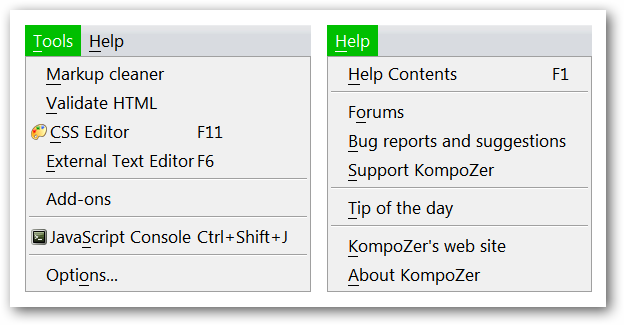 KompoZer is a nice basic website editor that will allow you to quickly get started and become familiar with the process. Both the stable and beta versions require no installation. 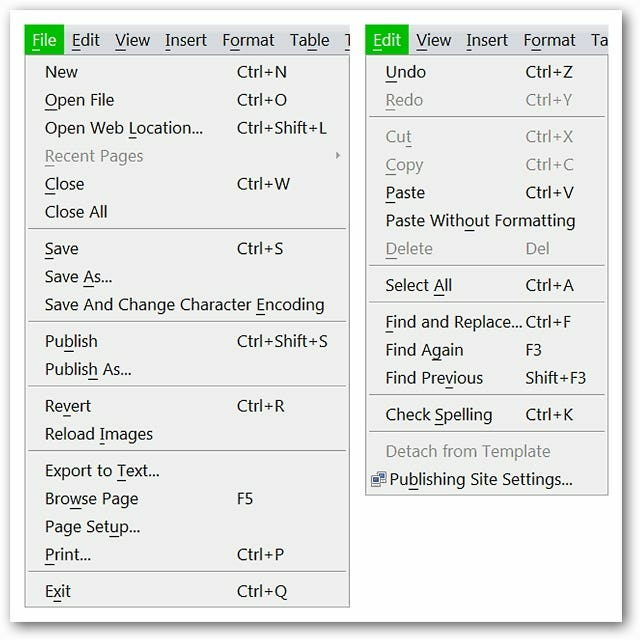 Simply unzip the program folder, move it to Program Files, and create a shortcut. For those who are curious, here is a look at the program folder’s contents. 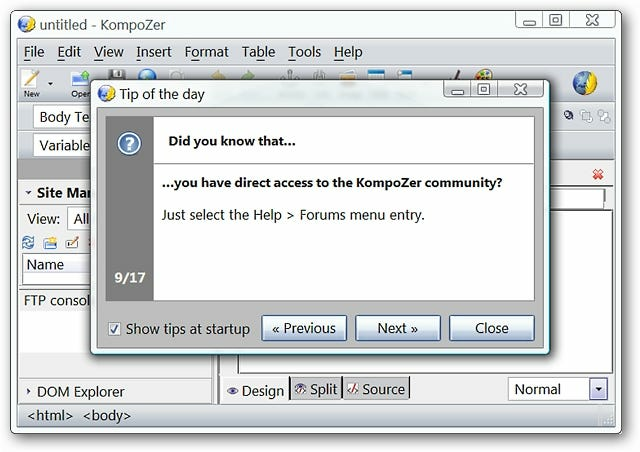 This is what you will see when you start KompoZer the first time. 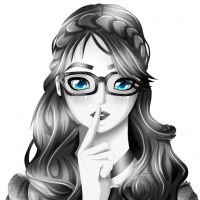 The “Main Window” will be in a minimized form and the “Tips Window” will appear with it. You can easily disable the “Tips Window” if desired at this point. 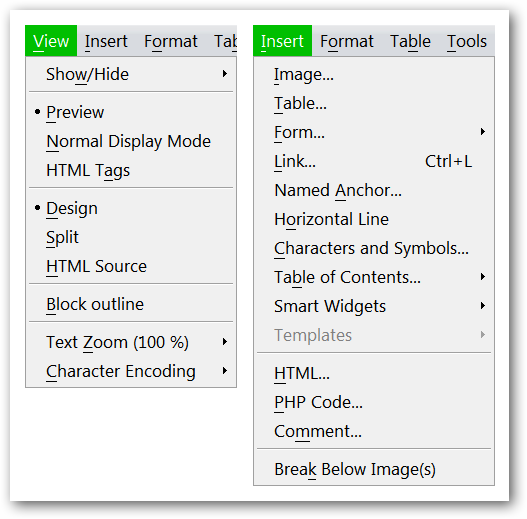 Curious what things look like once you have started creating webpages? 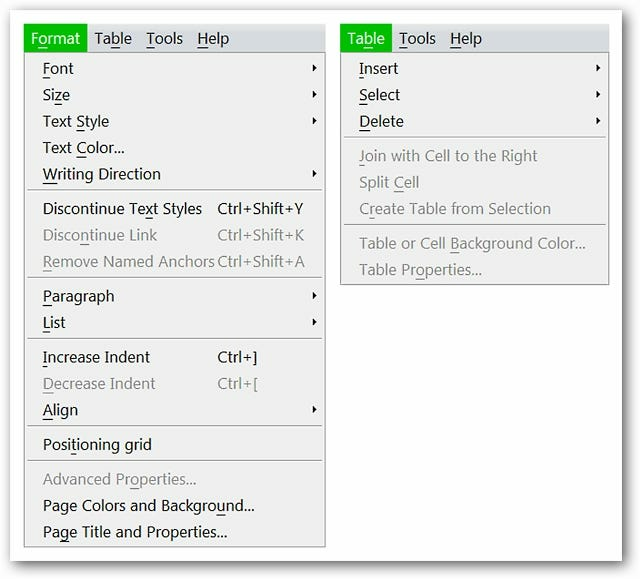 Here is an example page that we created with a title header, modified background color, image, table, and some useful links. Notice at the bottom that you have three viewing options available: “Design, Split (Design & Source combined), and Source”. A look at our newly created webpage in Opera Browser. 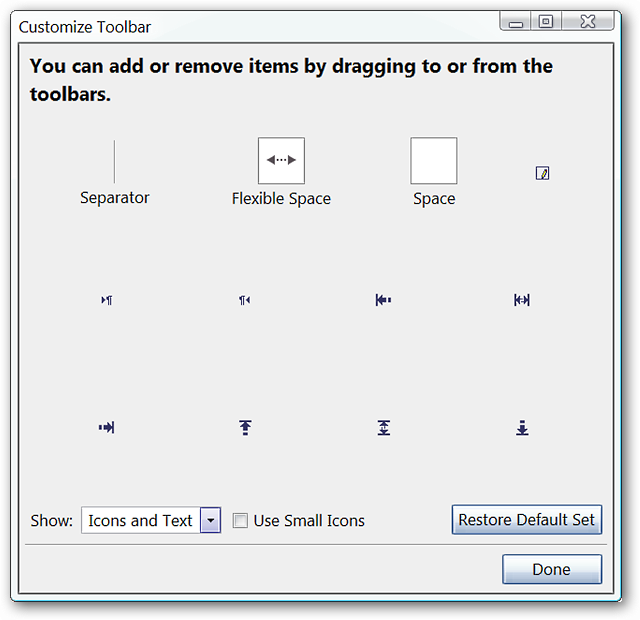 And the second is for the bottom two toolbars only. 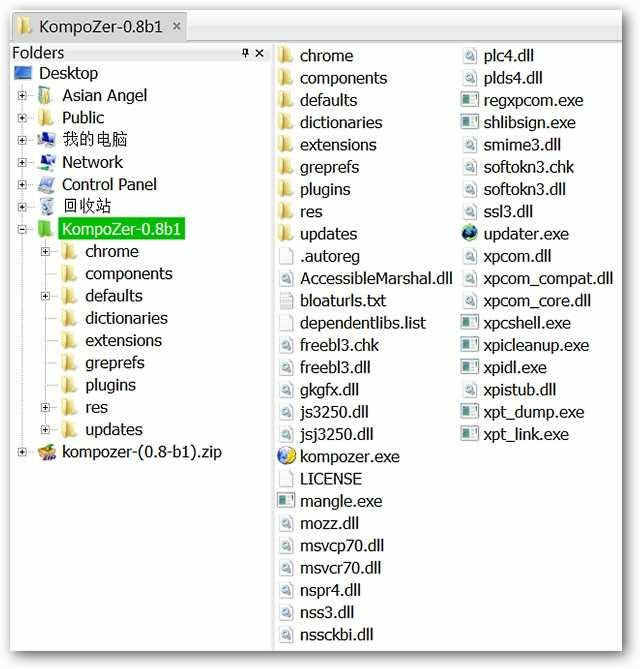 KompoZer has a nice set of menus available…here you can see the “File & Edit Menus”. Followed by the “Format & Table Menus”. 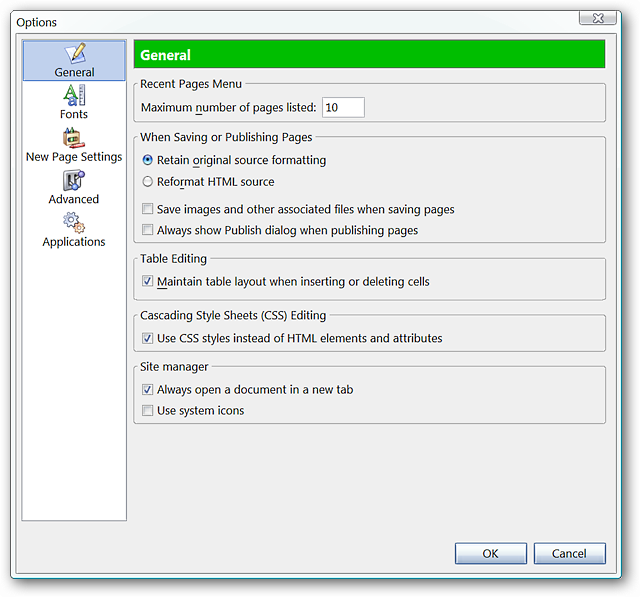 In the “General Area” you can make any necessary changes or modifications for the Recent Pages Menu, saving/publishing, table/CSS editing, and site management. 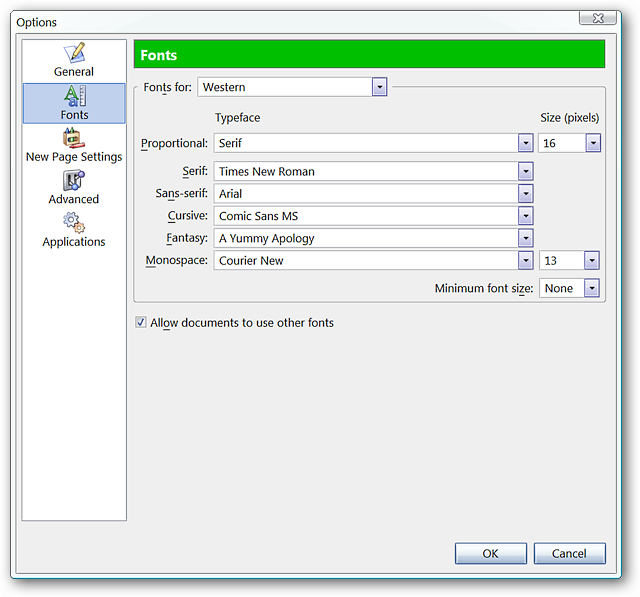 Determine the fonts and sizes that you would like to have as defaults in the “Fonts Area”. 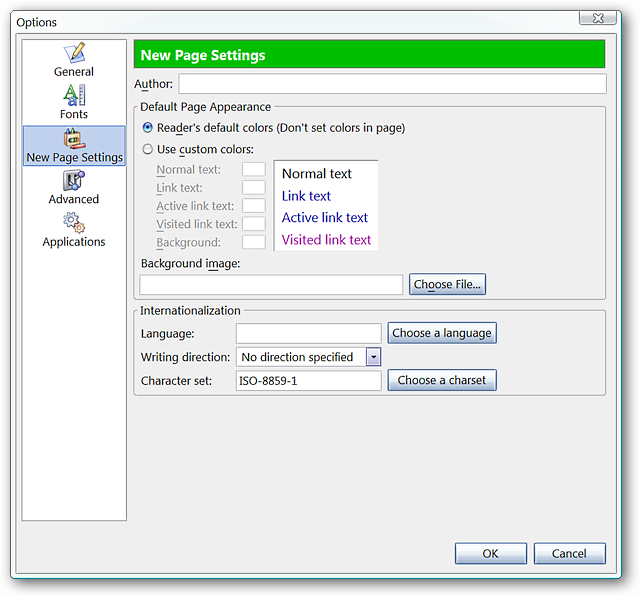 Set up the defaults such as text/link colors, background, and character sets for your new webpages in the “New Page Settings Area”. 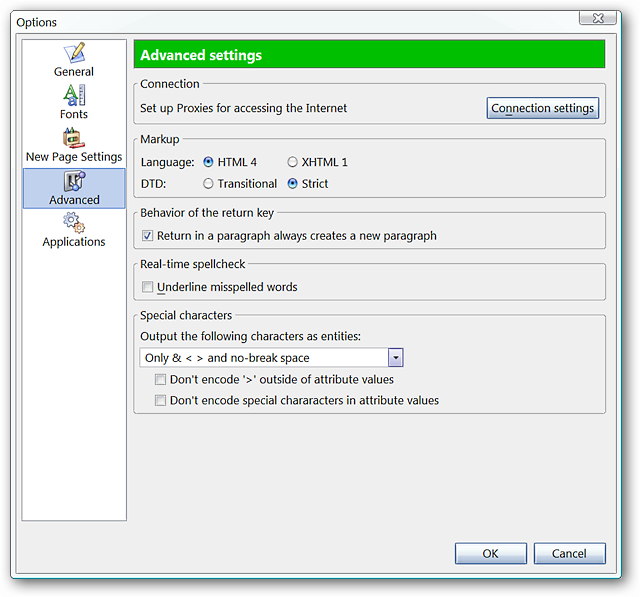 Make any necessary modifications that you desire for items like proxies, Markup, and special characters in the “Advanced Area”. 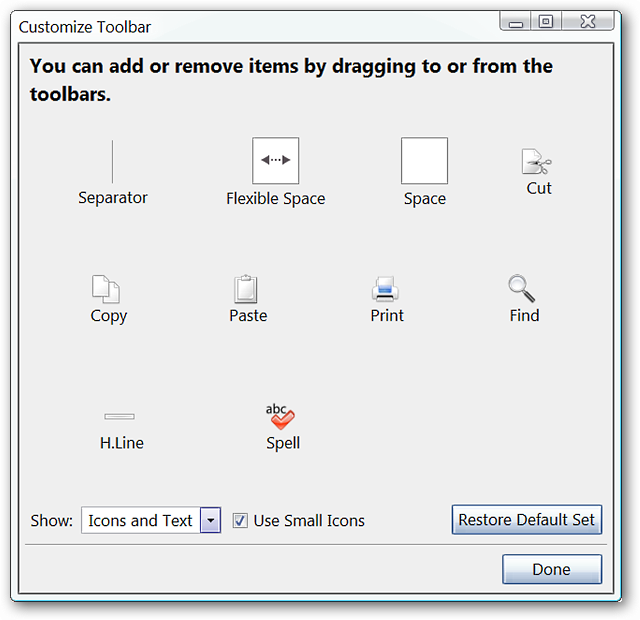 Alter any settings if needed for applications and file extensions in the “Applications Area”. 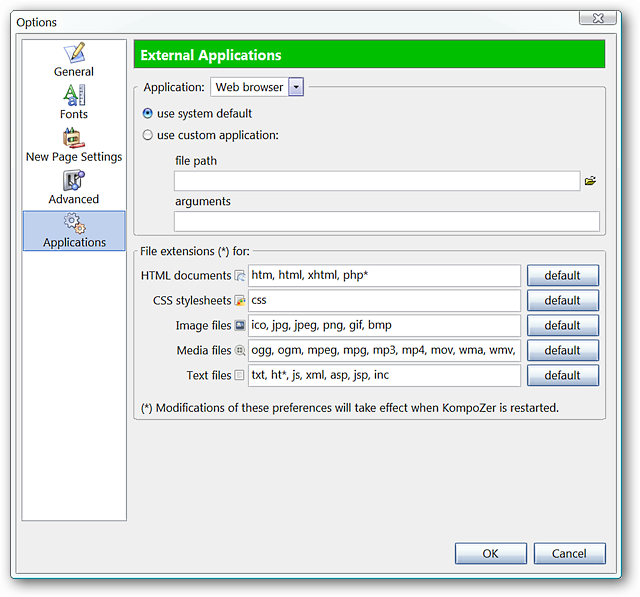 If you are looking for a good basic website editor to get started creating webpages with, then KompoZer is definitely worth taking a look at.